Cathy, grew up in Lewistown, PA, and attended Shippensburg University, graduating in 1971 with a Bachelor of Science in Secondary Education with a major in Mathematics and a minor in Chemistry. Upon her employment as a Mathematics teacher at Cedar Crest High School in the Cornwall-Lebanon School District, she moved to Palmyra where she married her husband Bradley. Their daughter Bethany is a 1999 graduate of Delaware Valley College with a degree in Chemistry. 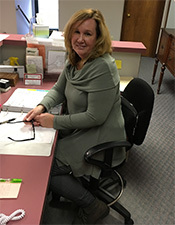 She currently works as a scientist at Teva Pharmaceuticals in Bucks County, PA.
Cathy became a patient at Wagner Chiropractic in 1987 when she sought care for lower back stiffness, and has had subsequent care to treat headaches, neck and sinus problems, and vertigo. When she retired from teaching in 2001, she joined the practice as a Chiropractic Assistant. 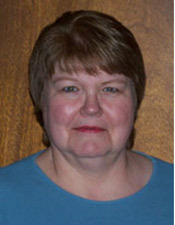 Cathy is very involved in her church and other charitable activities, and serves on the local and state level of AAUW. She loves mystery novels and solving puzzles, and recently joined the Palmyra Garden Club where she enjoys learning more about horticulture and flower arranging. 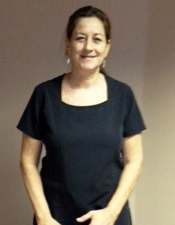 Wagner Natural Health Center is excited to introduce a new massage therapist to our variety of treatment options. Please see below for more information about Lori Moyer. “If only I could just do massages,” is what I said to myself as a young nurses aid in a very busy, understaffed hospital. After journeying with my husband through school, starting a family, and many different occupations, from florist to bowling coach, I found myself looking for a purpose. My desire to help others took me back to that thought I had so long ago, “massage”. In 1997, I chose to attend East-West school of massage. I was able to learn a variety of techniques from a diverse group of people: shiatsu, reiki, polarity, aromatherapy, deep tissue, reflexology, and even anatomy and physiology taught by an RN. I continue to take education courses including: Ayurvedic head, face, leg, and foot massage, Myofascial release and a British sports release technique called Soft Tissue Release (STR). In 2006,I had the opportunity to live on the Caribbean island of St. Croix. To my delight, in addition to the spa where I performed spa treatments and massages on the beach, there was a Chiropractic and physical rehabilitation center on the island. While working at this center I worked with management of pain conditions such as nerve impingements, sciatica, stroke symptoms, rotator cuff, knee surgery, and arthritis. I look forward to settling in with Dr. Wagner and beginning to make a difference. I will apply my massage therapy experiences to compliment Dr Wagner’s work. In order to accomplish this, I will be offering scheduled appointments and regular office hours on Monday and Thursday. I have been a patient of Dr. Wagner’s since 1989. Today I am now an employee at Wagner Chiropractic Center. In the past I have worked in Healthcare as an LPN, and in home care. As a chronic migraine patient, I personally have experienced the benefits of regular chiropractic care. I am happy to be part of a team whose priorities are helping people feel well. I am married 30 years to Rick, we have raised three sons. Recently, we added our first daughter-in-law to the family. I currently enjoy helping friends with their wedding venue on weekends, gardening, reading, and being outdoors with friends and family. Give Wagner Chiropractic Center a call so we can help you take the first steps towards health.